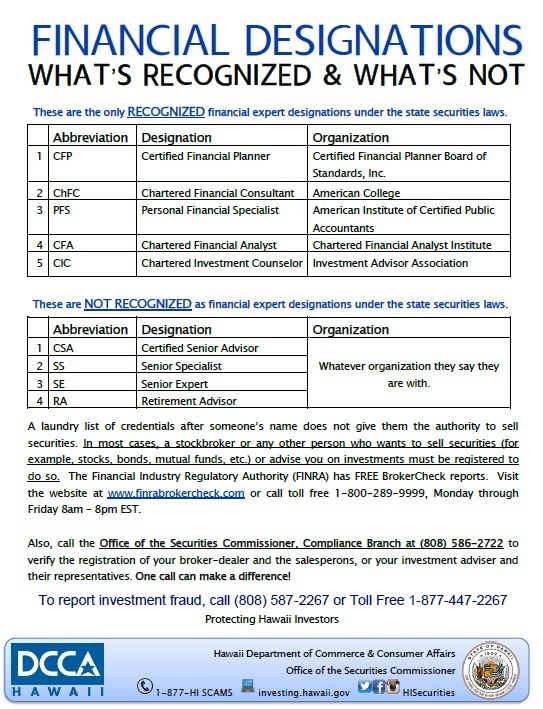 TIP: A lengthy list of credentials after someone’s name does not give them the authority to sell securities. In most cases, a stockbroker or any other person who wants to sell securities or advise you on investments must be registered to do so. 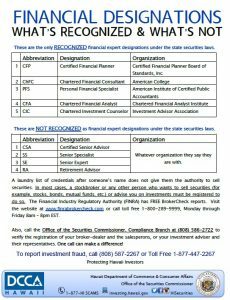 Download our Financial Designations handout to know what’s recognized and what’s not.